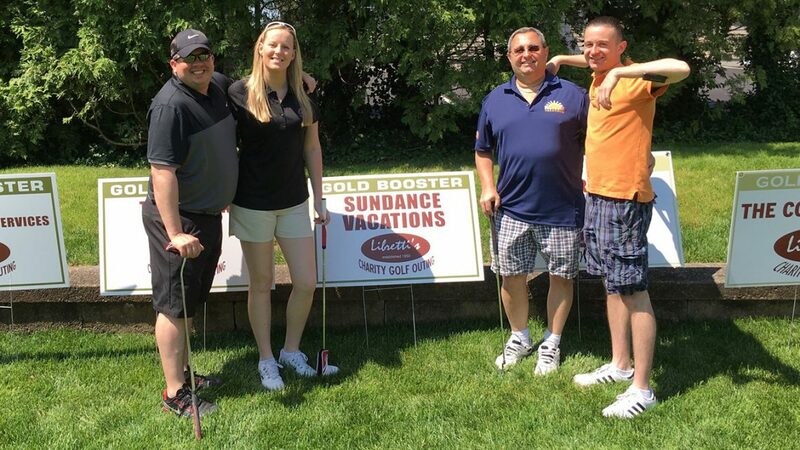 Four employees from our Sundance Vacations Parsippany, New Jersey office put on their polos and grabbed their golf clubs for a day on the links to support the Lazzara Family Foundation. 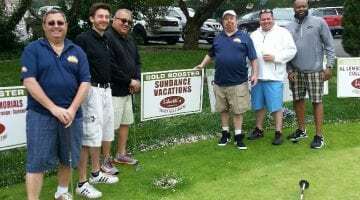 The foundation’s sixth annual Libretti’s Charity Golf Outing took place at 10 a.m. this past Monday, May 23 at Maplewood Country Club in Maplewood, N.J. and boasted a day of activities to raise funds for Down Syndrome research. Activities included games such as closest to the pin, closet to the line, longest drive, etc. In addition, the sponsorship event featured breakfast and lunch for participants and was followed by a cocktail hour and dinner and Libretti’s Restaurant in Orange, N.J. 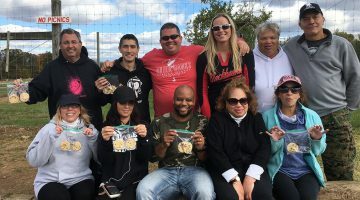 This was Sundance Vacations first year participating in the event and the company became a gold sponsor after learning about the cause from a Sundance Vacations Parsippany office employee. 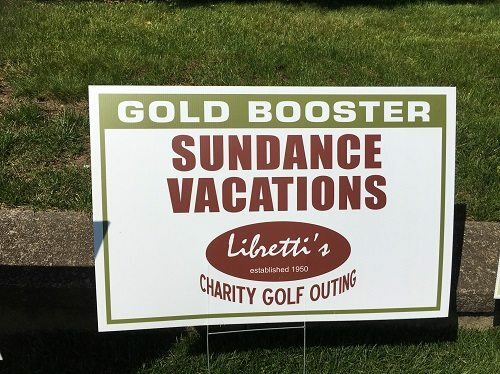 All funds raised at Libretti’s Charity Golf Outing will go towards the Lazzara Family Foundation, a 501©3 nonprofit that “supports research and is committed to maximizing the abilities of those living with Down Syndrome,” according to their website. People with Down Syndrome are born with three copies of a certain chromosome whereas people are typically born with two. This causes them to have increased risk for medical conditions such as heart defects, respiratory or hearing problems, Leukemia and more as well as cognitive impairments or delays. The founder of the Lazzara Family Foundation, Danny Lazzara, created it for his cousin Gregory, who was born with the syndrome. The organization supports Stanford University, Johns Hopkins and more research institutes who are constantly making strides in knowledge on the cognitive abilities to improve the lives of those with impairments. 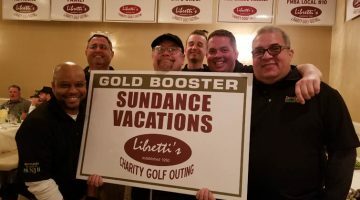 The Sundance Vacations employees who attended the golf outing tell us that it really meant a lot to them to personally meet the children they were helping. “The best part was meeting two of the kids from the charity, and seeing firsthand who this event benefits,” said Jimmy Devine from our Parsippany office, after meeting Sal and Greggie, two children with Down Syndrome. The employees tell Sundance Vacations they are looking forward to next year’s outing!